A recent pilot to incorporate cyber into tactical training exercises is showing positive results, according to Army officials. Through the first-ever program, experts from Army Cyber Command provide training on offensive and defensive cyber operations. The training is part of the Army’s larger Cyber Support to Corps and Below program, an effort to enhance soldiers’ skills in all aspects of digital communications. Planners aim to integrate tactical edge cyber tools, techniques and capabilities into home-station training and Army combat training centers. Launched in spring 2015, the pilot completed its fifth iteration in February, with the next installment due to take place in August. The pilot program includes two to three days in the classroom, along with two to three weeks of hands-on training. Course content covers a wide range of topics. Trainees learn the rules of cyber use, review demonstrations of potential capabilities, and study the fundamentals of network defense. May 2 marked the five-year anniversary of the U.S. raid in Abbottabad, Pakistan, that resulted in the death of Osama bin Laden. In the wake of that operation, we noted that while bin Laden's death fulfilled a sense of vengeance and closure for the 9/11 attacks, in the big picture, it was going to have little effect on the trajectory of the wider jihadist movement. A man was dead, but the ideology of jihadism was going to continue to pose a threat. The jihadist movement has progressed closer to bin Laden's vision for the world in the past five years than it had in the almost 10 years between 9/11 and his death. An arc of jihad now spreads from West Africa through the Middle East and into Southeast Asia. Reflecting on bin Laden's demise provides a reminder not to lose sight of the forest - the wider jihadist movement - by focusing on the trees - individuals and groups. Bin Laden aspired to a world ruled by a Muslim caliph who would be guided by the principles of Sharia. To get there, he envisioned the establishment of a series of Islamic emirates practicing "true Islam" that eventually would expand into a global caliphate. Until his death, bin Laden maintained that jihadists should focus primarily on attacking what he termed the far enemies - the United States and its "European crusader allies." He believed that until they were driven out of the Muslim world, it would be impossible to establish such emirates because the United States and its allies would overthrow "true Muslim" leaders as they did Mullah Mohammad Omar and the Taliban in Afghanistan. Furthermore, unless the far enemies were stopped, they would continue to support the "apostate" governments, such as those in Saudi Arabia and Pakistan, that did not share bin Laden's interpretation of Islam. Soldiers examine weapons seized from a warehouse in Peshawar and put on display for the media at the Pando Stadium in Peshawar, Pakistan, January 27, 2016. For an offensive supposedly aimed at terrorists, the military has selected some odd targets. Just hours after a bomb attack on an Easter celebration in Lahore, the capital of Punjab, killed 75 and injured 340, Chief of Army Staff General Raheel Sharif ordered “counter-terror” operations throughout the province. Initial reports suggested that the bomber had been a resident of Muzaffargarh District, in the south of Punjab, a part of the country often described as a hotbed of Islamic extremists and militants. So apparently determined was the military in undertaking these operations in Punjab, and frustrated with civilian reticence on the matter, that the army chief even announced that its operations would not be conducted in coordination with civilian law enforcement, as had been proposed prior to the attack. In the face of such pressure, the government quickly acquiesced and ordered the launch of an operation in south Punjab. It seemed as if the army had finally decided to fulfill the long-standing demand for action against militancy and extremism in Punjab, with the Lahore attack providing the catalyst. Zia Mian is at Princeton University’s Program on Science and Global Security. He is co-chair of the International Panel on Fissile Materials (IPFM). The armies of Pakistan and India are practicing for nuclear war on the battlefield: Pakistan is rehearsing the use of nuclear weapons, while India trains to fight on despite such use and subsequently escalate. What were once mere ideas and scenarios dreamed up by hawkish military planners and nuclear strategists have become starkly visible capabilities and commitments. When the time comes, policy makers and people on both sides will expect—and perhaps demand—that the Bomb be used. Pakistan has long been explicit about its plans to use nuclear weapons to counter Indian conventional forces. Pakistan has developed “a variety of short range, low yield nuclear weapons,” claimed retired General Khalid Kidwai in March 2015. Kidwai is the founder—and from 2000 until 2014 ran—Pakistan’s Strategic Plans Division, which is responsible for managing the country’s nuclear weapons production complex and arsenal. These weapons, Kidwai said, have closed the “space for conventional war.” Echoing this message, Pakistani Foreign Secretary Aizaz Ahmad Chaudhry declared in October 2015 that his country might use these tactical nuclear weapons in a conflict with India. There already have been four wars between the two countries—in 1947, 1965, 1971, and 1999—as well as many war scares. * Who are the cyberwar superpowers? The announcement by the United States that it is using its military Cyber Command to mount computer network attacks against Islamic State is a demonstration of how significant this new battle front has become. While traditional weaponry is still being used against IS, it is hoped that by targeting the organisation's recruiting, financial and military information systems, serious damage can be inflicted. The admission that cyber warfare is being used was a rare acknowledgement of Washington’s capability in this area. The United States is just one of many countries that have invested significant amounts of money in developing not just defences against attack, but the ability to mount damaging cyber warfare offensives. Newfangled theories distract from the unchanging art of war. Most modern military doctrine should be scrapped. The Pentagon would be far better served if our military thinkers got back to the basics and taught the principles of war—and little more. Conflict just keeps getting more complicated. In the modern era, the general response has been to develop new concepts for the how the armed forces ought to conduct themselves. “Bold reimaginings” have sprung forth as quickly as weeds. Getting the “strategic narrative” right is but the latest doctrinal flavor of the month. But while explanations of how we should fight keep getting more cerebral, sophisticated and sensitive to the conditions surrounding contemporary conflicts, the fighting hasn’t gotten any easier. Occam’s razor suggests that maybe all that fresh thinking isn’t helping win wars. Why do smart, elegant doctrines come up short? The easiest explanation would simply dismiss modern military theorists as feckless pseudo-intellectuals. Colin Gray has compared the defense community to the fashion industry. “Expert defense professionals quite literally follow the fashion in ideas. . . The bigger the idea, the greater its conceptual reach and hence its organizing potency, and hence the more compelling the felt need to jump aboard the intellectual bandwagon.” There may be some truth there, but more is going on. 1. Break the Polytheist image. One of the most enduring clichés about Hinduism is that Hindus adore a multitude of gods and goddesses, which makes them heathens in the eyes of Christians, thus good to be converted to the ‘true’ God, often with unethical financial baits; & ‘kafirs’ for Muslims from all over the world, particularly from neighbouring countries, such as Pakistan, which encourages them to wage a jihad on India. The BJP government of Narendra Modi is in a dilemma over whether or not to subject Shashi Kant Sharma, former Defence Secretary presently holding the office of Comptroller and Auditor-General of India, a constitutional post, whose name figures in the list of recipients of bribes in the aborted Augusta Westland VVIP helicopter purchase deal, to interrogation. On page 9 of the Italian appeal court judgment there is a seized handwritten document from middleman Christian Michel on how to distribute the bribe amount to the key people, Indian Air Force officials, bureaucrats in the Ministry of Defence including Sharma and Sonia Gandhi’s political secretary, Ahmed Patel, among others. The crucial document was written in March 2008 when Sharma was Director-General (Acquisition) in the Defence Ministry. He was appointed as the CAG in May 2013 by the Congress-led United Progressive Alliance government. A 1976 batch Indian Administrative Service officer of Bihar cadre, Sharma was posted as Joint Secretary (Air) in the Defence Ministry in the middle of 2003. He never looked back. He was involved in most of the defence deals in the next 10 years till he retired as Defence Secretary in 2013. His political masters found him useful not only in striking lucrative defence deals but also in other matters such as ensuring a chosen line of succession for the post of Chief of Army Staff. ATLANTA — India has awarded a contract to Longbow LLC, a joint venture of Lockheed Martin and Northrop Grumman, for fire control radar systems with advanced air and ground targeting capabilities for the country's AH-64E Apache attack helicopters. The firm-fixed price, undefinitized foreign military sales contract comes to $57.1 million but could be worth up to $116.7 million, according to a statement released Saturday at the Aviation Association of America's Mission Solutions Summit. The contract buys 12 Longbow FCR systems for the Indian Air Force and spares and production will last through early 2019. Field trials are the second vulnerable stage in the acquisition process. The Defence Procurement Procedure (DPP), which regulates defence procurements, requires every vendor to sign a pre-contract integrity pact (PCIP), designed to prevent the vendors from adopting unethical practices to win contracts and remain on course after winning them. Those who violate the pact can be slapped with sanctions ranging from the immediate calling off of the negotiations, if the transgression is detected before the award of contract, to the recovery of the bribe money, forfeiture of bank guarantees, and even blacklisting. Every defence contract also contains a clause that requires the vendor to declare that no agent had been employed and no agency commission paid to secure the contract. Breach of the clause invites punitive action. After a long time, India is realising efficiencies in the domestic coal sector. In a summer marked with furnace-like heat that has a lot to do with the burning of coal this may seem bad news, but is actually not. All indicators for the sector are doing well. More importantly, they are doing well not in spite of government policies but mostly because of it. And they augur well for the environment too. The impact of the clean up in the coal sector is big news for economic policy making in India. Consequently, 2016-17 promises to be the first year in decades when the coal sector will offer positive news. Not taking into account, that is, the shenanigans that have begun to crop up in courts in the myriad coal scam cases. They are attractive as diversions, not germane to the narrative of coal as a source of energy for India. How did this happen? It happened principally because the central government held its nerve through most of 2014 and 2015 and went through with the entire menu of reforms needed for the coal sector, unlike the stop-and-start syndrome that is coming to smear the labour reforms chapter, for instance. 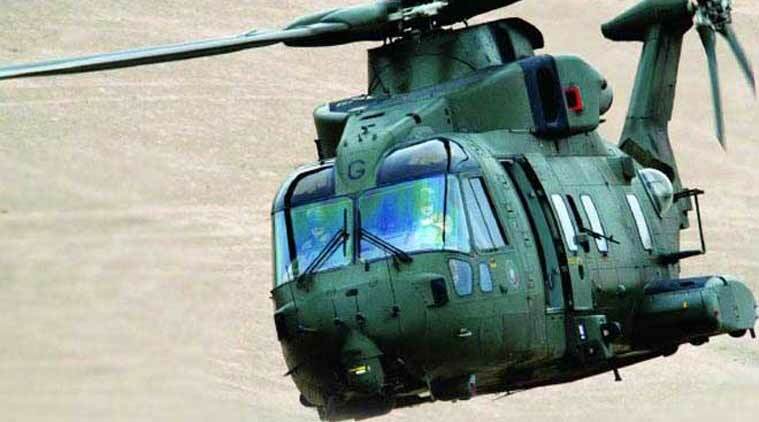 The AgustaWestland helicopter scam represents the media’s mea culpa moment. It has ripped the veil off the nexus between politicians, bureaucrats, armed forces personnel, and arms dealers. But at the heart of this nexus lies the media. Maharashtra Governor C Vidyasagar Rao and Power Minister Piyush Goyal were in attendance. The panel comprised Ravish Kumar (NDTV), Siddharth Varadarajan (The Wire), Sucheta Dalal (Moneylife), and myself. It was moderated by Shobhaa De. Niti Aayog, the government think-tank which replaced the outdated Planning Commission, has a unique problem: it is short of economists. Niti Aayog, which is headed by ace economist Arvind Panagariya, is “compelled” to seek “home-grown” economists from the Indian Economic Service (IES) cadre. In India we need more microeconomists to solve problems in which macroeconomists can offer only generic ideas. Niti Aayog, the government think-tank which replaced the outdated Planning Commission, has a unique problem: it is short of economists in a country where you can’t chuck a brick in Delhi without hitting an economics establishment or two. Every brokerage worth its P/E multiple has an economist or two lurking in the woodwork. Universities have entire streams of students doing economics – though, one must add, often without the foggiest knowledge of the real world of political economics. Beijing’s terror conundrum China’s counter-terror relationship with Pakistan will continue to test China-India relations. Ever since China’s decision to block UN sanctions against Masood Azhar, many Indians have concluded their superpower neighbour’s policies are driven by moral blindness, even malice. Last summer, as fighters from the jihadist Jabhat al-Nusra swept across the Orontes river into the Syrian town of Jisr al-Shughur, a strange caravan followed in their wake: Thousands of women and children, marching across the border from refugee camps inside Turkey, to occupy the farms and homes of local residents who had fled. This was their promised land: An Islamic state to rival the Islamic State (IS). For some 3,500 families, though, their new home amidst the lush green slopes of the village of Zanbaq was just a stepping stone to a homeland more than 4,500 kilometres away — a great sprawl of ice, rock and prairie, perched on the roof of the world. They spoke languages no one around them understood: Uyghur and Chinese. Ever since China’s decision to block UN sanctions against Masood Azhar, many Indians have concluded their superpower neighbour’s policies are driven by moral blindness, even malice. For a serious understanding, it’s important to see the world through China’s eyes — eyes that wear lenses coloured by the emergence of many enclaves like Zanbaq. The IS has its own Chinese forces, whose families have been granted lands in Abyad province. Chinese nationals make up the largest cohort, by far, of foreign jihadists from Asia. Although the world sees China as a fire-breathing dragon, its leaders know their power rests on pillars of the most fragile porcelain. The armies massing in West Asia, Beijing fears, could bring the roof down on their half-century-long effort to build a great power. Pakistan is awash with a tidal wave of Chinese infrastructure projects. The small town of Gwadar, for example, was a forgotten end of the earth, filled with dust-colored cinder-block houses that lined trash-strewn streets and ringed by cliffs, desert and the Arabian Sea. Yet this sleepy fishing town has erupted with development over the past few years. A Chinese delegation inaugurated its sparkling new container port in early April, as part of a deal by which China will build and have rights over the port. China has agreed to spend an extraordinary $46 billion in investment throughout Pakistan, far more than the annual U.S. aid budget for the entire world. This is now Beijing’s biggest commitment to any one country. Pakistan is also the largest recipient of Chinese weapons, and Beijing increasingly relies on it to help contain militants in China’s western provinces. CAMP SHAHEEN, Afghanistan — If first impressions really can be gleaned from footwear, Afghan security forces may be about as disjointed and ragged as a state-run military can get. As recruits stood in formation here last week, some wore nearly paper-thin black boots one stumble away from an exposed heel or toe. Others had on boots better suited for trekking through feet of snow than standing on sun-scorched gravel. The lucky ones had the same well-padded, sandy-colored boots worn by a visiting U.S. general and his support staff. “This one, when it gets wet, they are not comfortable,” said one soldier, Abdul Ali, 21, pointing down at his crumbled black footwear. The sad state of soldiers’ boots highlights something that U.S. military officials have known for about two years: Despite more than $68 billion in U.S. funding for Afghan security forces over the past 14 years, they still can’t even clothe themselves. Because of widespread corruption and incompetence, the U.S.-led coalition has taken control of procurement of uniforms and boots for the Afghan army and Afghan National Police Force. Now, the coalition is trying to airlift or ship in more than a million pairs of boots to make sure Afghan forces can properly walk onto the battlefield. Some of the orders for those boots were placed as far back as 2014. The withdrawal of financing for the F-16s is only the latest in a list of episodes which suggest growing disenchantment with Pakistan in Washington. Washington now realizes that continued US occupation in Afghanistan was necessitated by Pakistan and not facilitated by it. But the most important factor in America’s changing relationship with Pakistan might be Islamabad’s dwindling influence over an increasingly factious Taliban. In a stunning development this week, the Obama administration announced that it is withdrawing subsidies offered to Pakistan under the Foreign Military Financing (FMF) program. Pakistan had originally sealed a deal to buy eight F-16s from the United States, with Washington financing most of the $699 million through the FMF. But the White House has now revoked that offer. “Key members [of the US Congress] have made clear that they object to using Foreign Military Financing (FMF) to support it,” the US State Department’s spokesperson John Kirby said. The withdrawal of financing for the F-16s is only the latest in a list of episodes which suggest growing disenchantment with Pakistan in Washington. Early this March, two senior Senators from either side of the political spectrum – the Senate Foreign Relations Committee Chairman, Republican Bob Corker, and the Democrat Senator Ben Cardin – had said that they won’t support funding for Pakistan under the FMF, until it demonstrated “behavioural changes”. In the same month, Under Secretary of State Rose Gottemoeller expressed concern over Pakistan’s deployment of battlefield nuclear weapons. Tokyo cannot depend on Washington indefinitely. Yesterday was the 69th anniversary of Japan's post-war pacifist constitution. Thousands attended rallies in Tokyo both in support of and against changing Article 9 of the Japanese constitution, which outlaws war. It states: “Aspiring sincerely to an international peace based on justice and order, the Japanese people forever renounce war as a sovereign right of the nation and the threat or use of force as means of settling international disputes. In order to accomplish the aim of the preceding paragraph, land, sea, and air forces, as well as other war potential, will never be maintained. The right of belligerency of the state will not be recognized." The Japanese constitution was drafted by Douglas MacArthur and implemented in 1947. The United States quickly regretted inserting Article 9. When the Korean War broke out, the United States wanted to reposition Japan as Germany was being repositioned. It wanted Japan to develop a military force that would be commanded in the context of an alliance, in other words, not fully in the control of Japan. The Germans accepted this formula because they were at risk of Soviet invasion, and countering this threat required a substantial force raised from an alliance, NATO. Germany needed NATO and therefore had to go along with it. The Japanese were in a different position. The Japanese did not regard the Korean War as a direct threat and refused to violate their constitution. China's military has for the first time sent dedicated teams of corruption inspectors into its units, state media said on Thursday, following a practice already established for civilian departments as part of President Xi Jinping's war on graft. Previously, corruption investigations in the People's Liberation Army, the world's largest armed forces, were handled in a more ad hoc fashion. But under reforms started last year the military now has a dedicated graft-fighting division. Xi has led a sweeping anti-corruption campaign targeting high-ranking officials in industry, government, and the military. The military is reeling from the crackdown and has seen dozens of officers investigated, including two former vice chairmen of the powerful Central Military Commission, Guo Boxiong and Xu Caihou. Xu died of cancer last year before he could be bought to trial while Guo was accused of accepting bribes last month. The official Xinhua news agency said the new graft inspectors completed two days of training on Wednesday and had been organized into 10 teams who would go to various units around the country. It did not say which units would get inspectors. President Obama has just concluded what almost certainly will be his last meeting with the heads of state of the six Arab monarchies that comprise the Gulf Cooperation Council (GCC). By all accounts, the meeting was productive, as we would hope when the leaders of our nations gather. These are, after all, important and enduring partnerships, grounded in mutual security, economic and geostrategic interests. Why, then, we might ask ourselves, has Saudi Arabia, the largest and most influential of the GCC countries, become the punching bag of choice for a select group of America’s politicians and pundits? The arguments most frequently heard are familiar by now, and all are worthy of sober reflection. In the first case, critics charge that the kingdom’s export of its conservative strain of Islam, known as Wahhabism, has fueled the growth of violent extremist organizations around the world. Second, human-rights groups have long argued that Saudi Arabia fails to adhere to international standards of conduct; its military intervention in Yemen has only sharpened this criticism. And most recently, new demands to release information connected to the attacks of September 11, 2001, have revived debate about official Saudi involvement in those tragic events. As I say, we needn’t shy away from reasoned debate on any of these issues. But to launch reckless attacks against a nation that has been a steadfast friend of the United States since its founding seventy years ago is to imperil our own security—and our own standing in the world. Suicide Bombings By ISIS: Portent of A Coming Storm? The recent suicide bombings in Istanbul, Paris and Brussels show the penetration level that ISIS has reached in the developed world. The contemporary history of suicide bombings by the terrorists groups dates back to early 1980s. Suicide bombings form only 3 percent of all the terrorist attacks worldwide, but they account for 48 percent of the causalities. The recent suicide bombings in Istanbul, Paris and Brussels show the penetration level that ISIS has reached in the developed world. These attacks have actually busted the myth of a ‘fortified’ global North so to speak and exposed the vulnerabilities of the cities in the developed countries to the terrorist attacks. The contemporary history of suicide bombings by the terrorists groups dates back to early 1980s. According to the Chicago Project on Security and Terrorism (CPOST), 4814 suicide bombings by various terrorist groups took place in over 40 countries from 1982 through September 2015. In 2014 alone there was 94 percent increase in the suicide bombings and 3,400 deaths. America’s international position is distinguished by its alliance networks. Presidential candidates decry today’s dangerous world, yet the United States is allied with every major industrialized power, including China and Russia. It is a position Washington’s few potential adversaries must envy. Unfortunately, littering the globe with security commitments is costly. Equally important, America’s defense and support transforms friends and allies into dependents. The principle is the same as domestic welfare. Why do it yourself if someone else will? In his recent interview with the Atlantic,President Barack Obama complained, “Free-riders aggravate me.” But Washington has created a world filled with free—or at least cheap—riders. The president recently visited one of the targets of his ire: Saudi Arabia. The royals long ago assumed the U.S. military would act as their de facto bodyguard. The first Gulf War was more about the Kingdom of Saudi Arabia than Kuwait. 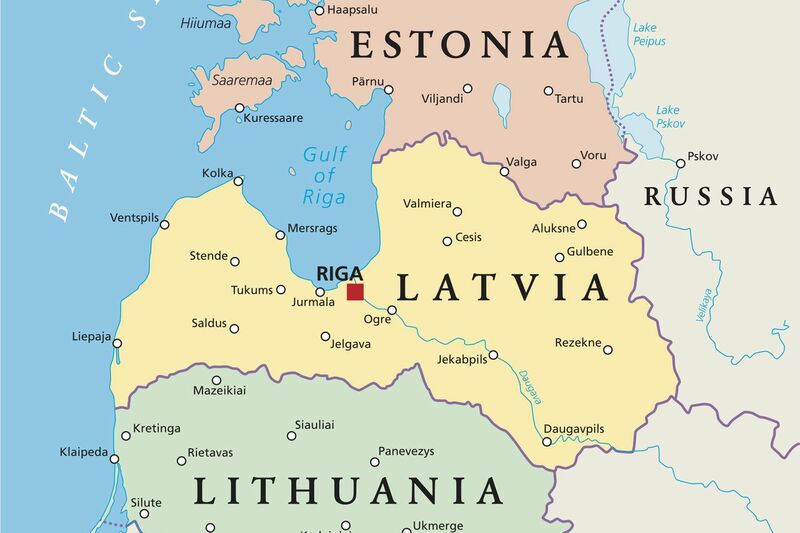 There is currently a great deal of alarmist concern, triggered by a recent RAND report, about Russia’s supposed ability to conquer the Baltic states — Estonia, Latvia, and Lithuania, three former Soviet republics that are now part of NATO — and thus drive a wedge into NATO without the West being able to do anything to stop it. But before we start to panic, it’s important to consider not just whether Moscow might ever actually want to do this, but also all the many ways in which the West could retaliate other than with military force. There are, after all, more ways to win wars than just with tanks and fighters. The reality is that not only does Russia likely have zero ambitions to capture the Baltic states in the first place, but even if it did, the US and NATO could do a whole lot to punish it for doing so. Are We Losing the War on Terrorism? While in recent months the United States and its allies have had some battlefield success against the self-described Islamic State, or ISIS, the allies still are losing the war against Islamic jihadism, say two former directors of the American and Israeli intelligence agencies. “I believe that my children’s generation and my grandchildren’s generation will still be fighting this war,” said Michael Morell, acting director of the Central Intelligence Agency (CIA) from 2012 to 2013 and its deputy director from 2010 to 2013, during a discussion Tuesday evening at Harvard Kennedy School (HKS). Although the Islamic State has lost territory in Syria and Iraq and its finances and leadership structure have been greatly diminished of late, the sophisticated nature and accelerated pace of its attacks in Europe — six in the last six months — and the rapid spread of its ideology into 25 countries and 30 militant groups that claim affiliation with the group indicates that the fight is nowhere near over, said Morell, now a senior fellow at Harvard’s Belfer Center for Science and International Affairs. “We are in some kind of Third World War,” said Tamir Pardo, a career intelligence agent who headed the Mossad until his retirement in January. Even if Syrian President Bashar al-Assad left power, the war in Syria would continue and become “much worse” unless the deeply rooted socioeconomic troubles in the region that fuel extremist ideology — such as a lack of education, food, and health care — are addressed, he said. It’s a monumental challenge that would cost hundreds of billions of dollars, a price tag no country appears willing to pay. Social media profiles may not be part of security clearances today, but they will be in the future. “We’re about to push out a social media policy for security clearance professionals,” said William Evanina, director of the National Counter Intelligence and Security Center (NCIC) in the Office of the Director of National Intelligence. Timing is not set and details are scant. Some agencies have already run pilots to see what social media monitoring might produce. Others include social media checks in their insider threat programs..
How social media will be measured and exactly what will be observed is still being worked out, but it’s likely to figure into both security clearance reform and insider threat monitoring. The two are not the same. Security clearances focus on external data, such as self-reported financial information, credit reports and interviews with colleagues, family, friends and neighbors. By contrast, insider threat programs focus on actual behavior. They watch patterns, like arrival and departure times and computer usage, such as which files you access and download, which internet sites you visit and how often you use a given application. Both have interest in social media activity. This time next year, a new president will be reviewing recommendations from a transition team, and likely also the views of a new director or director-designate, on the state of affairs at the Central Intelligence Agency — including the impact of a major reorganization initiated by the agency’s current director, John Brennan. The new national security team will not lack for advice on this topic from serving officers, CIA alumni, congressional overseers, and the burgeoning intelligence commentariat. This advice will be well-intentioned in the main, but not universally well-informed. There is considerable skepticism in these communities that the changes underway will ultimately produce a more effective CIA. Such skepticism is rooted in a strong (and well-exercised) aversion to change at Langley, nostalgia for tradition-rich institutions that were unceremoniously dismembered, and sincere concern that some of the changes may actually hinder, rather than enhance, the agency’s ability to deliver “timely, accurate, and insightful” intelligence to policymakers. The CIA is an essential institution positioned at the heart of an intelligence community (IC) charged with anticipating, understanding, and often neutralizing threats to our national security. It would be a mistake to reverse or suspend any of the reforms now underway at Langley without the benefit of a rigorous and objective assessment of how the new priorities, structures, and work processes are actually impacting the Agency’s core missions: collecting intelligence from human sources (HUMINT), evaluating information from all sources, and shaping conditions abroad through covert actions. The objective evaluation of the performance of any intelligence organization is fraught, but such an exercise should be completed before the CIA workforce is subjected to the uncertainty and disruption of another makeover. In December, we published a full Net Assessment of Russia for our premium subscribers. Since that time, Russia’s fundamental strategy has not shifted, but the tactics Moscow uses to achieve its goals have evolved. At the same time, Moscow is continuing to grapple with the implications of low global energy prices for its economic and political stability, as well as defense priorities. While some Russian forces are still active in Syria, President Vladimir Putin’s announcement in March that the bulk of Russia’s forces would leave the country signals that Russia is turning its attention back to its primary strategic challenges in Europe. Russia’s limited intervention in Syria has largely fulfilled its purpose. It has reshaped perceptions of Russian power, strengthened the position of Bashar al-Assad’s forces, and led to increased discussions with the U.S. over both the Middle East and the future of Ukraine. A military culture that values people – and their intellectual development — will drive the innovation needed to win our wars. Let us not conflate military innovation with technology, as if that were the problem. Those who claim the United States lost its recent wars do not blame deficient technology. Jeff Eggers is a retired naval officer and a former Special Assistant to the President for National Security Affairs. As a senior fellow at New America, he researches the relationship of behavioral science to organizational performance. Full Bio The accelerating pace of change will make military innovation increasingly decisive in the 21st century, and Defense Secretary Ash Carter’s recent trips to Silicon Valley, Austin, and Cambridge reflect the Pentagon’s deliberate outreach to the technology sector and a clear priority on innovation. But technology is not the solution to the problem of innovation. Rather, innovation is a solution to the problem of technology. Its crux is agility in adjusting strategy and operations, which rests first in how an institution thinks, which is in turn a function of people and their development. In 2007, as director for hostages at the National Security Council, I met with the families of three American contractors captured by the Revolutionary Armed Forces of Colombia (FARC). It was a difficult meeting. High-end U.S. special forces and technology had been devoted to the case, yet the meeting marked four years of these families waiting for loved ones. A year later, I was relieved to learn that the three Americans had been rescued without a shot, along with Colombian politician Ingrid Betancourt and 11 other hostages. The recovery was executed by Colombian forces, who tricked the FARC into hand-delivering the hostages by hacking their communication system and impersonating their officers. The linchpin of success was devious ingenuity, not technology. Pentagon researchers by early 2018 expect to solve a problem that, so far, has often prevented law enforcement and hack victims from identifying cybercriminals with confidence. Aliya Sternstein reports on cybersecurity and homeland security systems. She’s covered technology for more than a decade at such publications as National Journal's Technology Daily, Federal Computer Week and Forbes. Before joining Government Executive, Sternstein covered agriculture and derivatives ... Full Bio Through the “Enhanced Attribution Program,” not only will the government be able to characterize the attacker, but also share the attacker’s modus operandi with prospective victims and predict where he or she will strike next. The point is “to not only look at the bullets but also look at the weapon,” said Angelos Keromytis, the program lead at the Defense Advanced Research Projects Agency. The gun in the metaphor is a reference to hackers’ IT resources. Vantage points into the hackers would include, for instance, the laptop they used to develop malware, their smartphones, and any other devices connected to the “Internet of Things”—many of which are traceable. Distributed denial-of-service (DDoS) attacks are skyrocketing at an unprecedented rate. According to the VeriSign Distributed Denial of Service Trends Report, in fourth quarter of 2015, there was an 85% increase in DDoS attacks compared to 2014.1 Not only are they increasing in quantity, they are also increasing in complexity and in the severity of damage they inflict. Often DDoS attacks are tied to ransomware, hactivism, and nation-state to nation-state cyberwarfare. And, to top it off, repeat attacks against the same organization are also on the rise. So if your network seems to be humming along just fine, and you think you couldn’t possibly be experiencing a distributed denial-of-service (DDoS) attack, think again. The latest DDoS attacks are much more difficult to detect than ever before. Knowing what you’re up against is the first step toward building a better DDoS defense. Let’s clear the air and examine top seven DDoS myths and realities, as defined by IDG Connect in its eBook, 7 DDoS Myths and Realities. Myth 1: DDoS attacks only occur on a large scale—with hundreds of gigabits. Since the passage of the Budget Control Act of 2011 and the Defense Strategic Guidance of 2012, the Department of Defense (DoD) has been cutting the size of the military, retiring obsolescent weapons systems and reducing combat units in order to meet defense budget strictures while salvaging some prospect for modernizing the force. The Army felt the impact of this new strategy more than the other services. It cut 13 Brigade Combat Teams as part of the process of downsizing the Active Component end strength from a wartime high of 570,000 to a planned level of 450,000. Of late, the pressure to reduce force structure and cut manpower has increased as DoD set itself on a course towards investing in advanced capabilities. As reflected in its so-called Third Offset Strategy, the Pentagon’s leadership believes the military has sufficient capacity or force levels to address today’s challenges, but needs to invest in new technologies in order to reassert its eroding advantage in cutting-edge military capabilities. This focus on capabilities vice capacity, or number, was reinforced by Secretary of Defense Ashton Carter’s recent directive to Navy Secretary Ray Mabus, in which he ordered that service to reduce its intended procurement of the Littoral Combat Ship and apply the savings to acquiring additional advanced tactical aircraft and munitions.